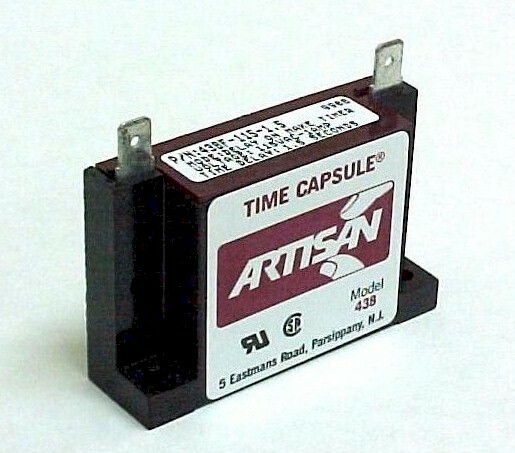 The model 438 Time Capsule is an all Solid State timer providing Delay on Make control to any 1 Ampere AC or DC load, such as a relay, solenoid or lamp. Simply connect the timer in series with the load, polarity need not be observed. When power is applied, the 438AF remains in the off state. When the preset time period has elapsed, the 438AF switches on allowing the load to energize. The load remains energized as long as power is applied.